A new generation in cosmetic skin resurfacing for the best results possible without a chemical peel! Gamma Hydroxy dramatically smoothes the appearance of acne scarring, wrinkles and the visible signs of skin ageing. 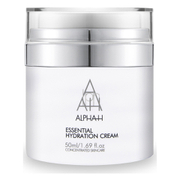 With a unique Hydroxy formulation, Alpha and the Beta Hydroxy Acids have been blended to have a cosmetic resurfacing effect so dramatic that with regular use, it has even been likened to a chemical peel. This precise combination of Hydroxy acids has been carefully balanced so that the beautiful, smoothing effect happens cumulatively - over a number of weeks - without excessively harsh irritation to the skin. Water, Glycerin and Arctostaphylos UVA URSI (bearberry), Leaf Extract & Magnesium Ascorbyl Phosphate, Glycolic Acid, Ethylhaxyl Methoxycinnamate, Cyclomethicone, Benzophenone 3, Propylene Glycol, Stearyl Alcohol Ceteareth-20, Cetyl Alcohol, Glyceryl Stearate & PEG -100 Stearate, Lactic Acid, Butyl Methoxydibenzoylmethane, Sodium Hydroxide, Phenyl Trimethicone, Salicylic Acid, Sodium Hyaluronate, Xanthan Gum, Disodium EDTA, Carbomer, Fragrance (parfum), Phenoxyethanol, Methylparaben, Butylparaben, Isobutylparaben, Propylparaben, Hexylcinnamadehyde, Limonene, 2-(4-Tert Butylphenyl) Proprional, Citronellol, Ethylparaben. 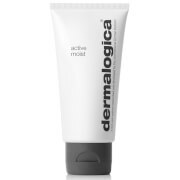 Glycolic Acid- is a type of Alpha Hydroxy Acid (AHA). It has a small molecular structure allowing it to penetrate the surface of the skin more readily. Salicylic Acid- is a type of Beta Hydroxy Acid (BHA) which encourages the sloughing of dead skin cells and has the ability to penetrate into the pore.